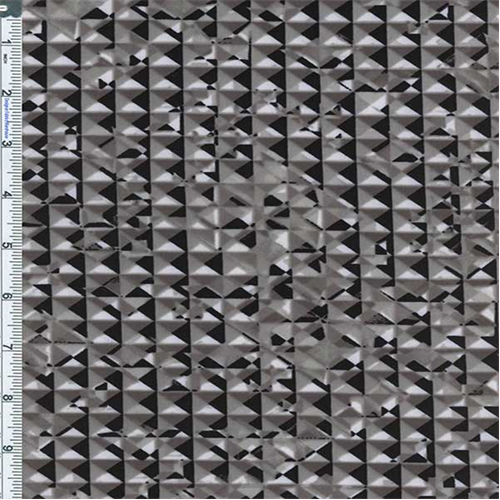 Stretch Poly Jersey Knit Diamond Abstract Print Fabric By The Yard, Black/White. Very lightweight with slinky drape. Widthwise and lengthwise stretch. Semi-sheer, suitable for light drapey fashion knit tops and dresses, use a lining or underlay garment for desired amount of opacity.